When the weather is not very favorable and you love architecture, definitely go there, I believe you will find a lot of inspiration for shooting. This is also evidenced by the fact that during my visit there took place an exhibition of local photographer that captured the vibrant day to day life of this store. Some photos also managed to me and here is one of them. A tripod can be used without any problems, during shooting nobody asked me to submit permission for taking photographs. 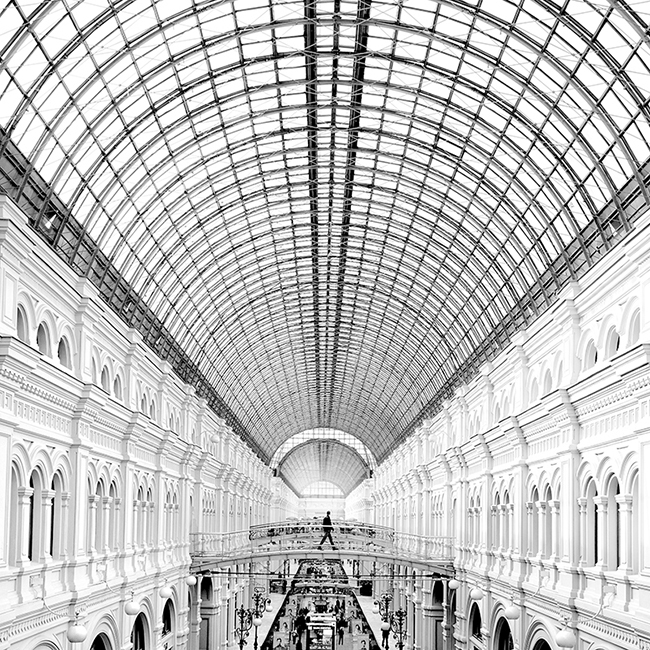 The department store GUM is located on the Red Square in Moscow and it pass 400,000 people a day. On the sales floor together 47,000 m² in 1,000 rooms with 150 departments offering a wide range of goods from food through textiles to consumer electronics. The building was built in the so-called Russian style and architect tried as much as possible to unite it with ceremonial buildings around the square. 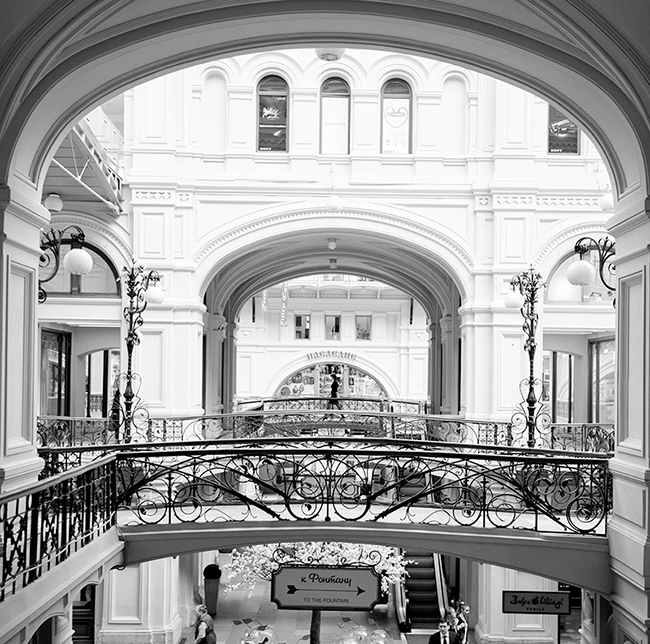 The new department store in Moscow was opened in 1893. 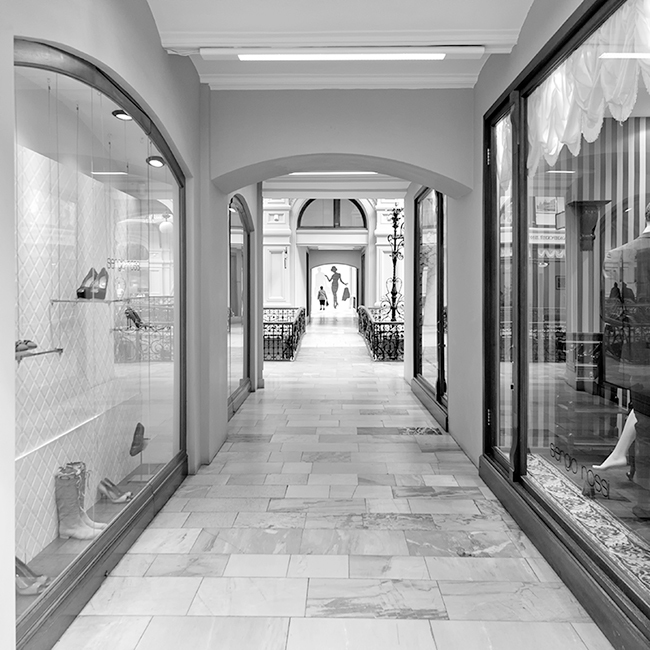 Rental of commercial space, however, was so expensive (the building cost 5 million rubles) that many previous owners of shops could not use the offer of a new store. Until the October Revolution there was located 200 private companies. In 1921 the store got its present name. In the 30´s of the last century it was closed and during the war there was a hospital. After Stalin´s death it was thoroughly renovated and since then it again serves for its original purpose. I am looking for some photo of Moscow; not in your face Kremlin or Red square ( I wouldn’t be able to stomach that 🙂 ); but more subtle, that not all but Moscow native would recognize. My bf is from Moscow and bit nostalgic for his childhood; and I am in need of meaningful Birthday present. Is there any way to get/buy a file to print it on canvas; or it will be prohibitively expensive? Thank you. wondering whiϲh blog platform аrе you using fօr this website?